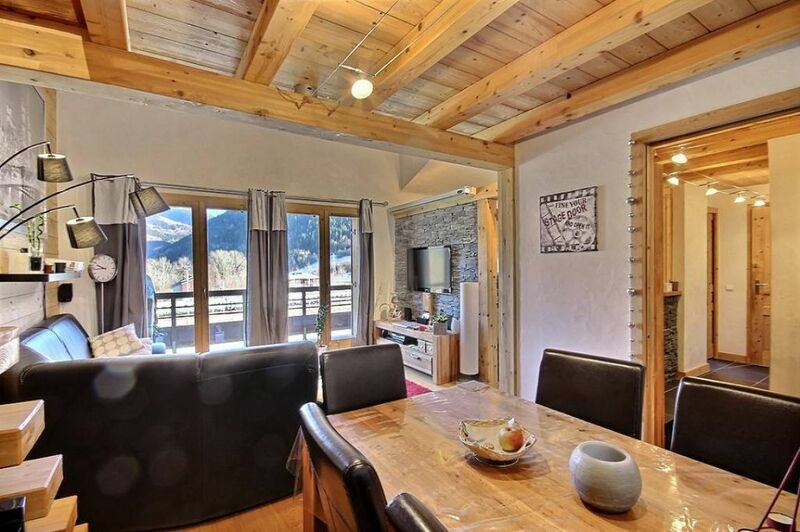 In the centre of Bourg St Maurice, close to all amenities, very nice apartment comprising a beautiful living room with a fitted kitchen, a mezzanine, a balcony facing East, a beautiful bedroom, a bathroom and toilets. Good conditions. Lots of character. Sold with a cellar and an underground double parking place.